As a doula you may or may not encounter pregnancy loss or stillbirth in your doula work. Even though ‘holding space’ and being present in the moment with the family you are supporting, is part of the doula skills you already possess, it can be useful to have more awareness, knowledge and skills around this theme. In this workshop, you will learn specific valuable basics about supporting mothers and families in case of pregnancy loss or stillbirth. You will be provided with tools and consciousness to hold space in these ‘loss births’. Partly practical, filled with facts and knowledge and partly investigating your own imagery and emotions about what it means to stand beside someone in their landscape of loss. Teacher is Laurina Cerredo (Doula Lau), certified SBD Bereavement Doula. This workshop is exclusive for BiA students. 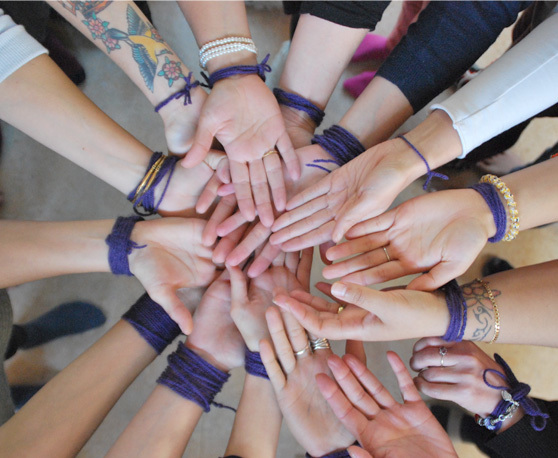 It is a collaboration between Doula Lau and BiA Doula training. We work with a small group – maximum 12 students. We will let you know if there’s a waiting list. Accreditation with the NBvD is applied for. You can cancel the registration within 14 days after booking the course online. After the 14 day period, you cannot get a refund. If you are unable to attend you can sell your ticket to someone else. There will be a €10,- charge for administration costs. If the workshop takes place within 14 days of registration, you wave your right of withdrawal. If you are on call, you need to inform us you when you register. In case you’re called to a birth, you need to notify us by 7am on the day of the event. Cancelation fee in this particular case is € 25,-.